Get to know the many faces of Snoopy in this novelty board book that introduces eight favorite Snoopy alter egos! Snoopy is no ordinary beagle. He is a master of disguise! Get to know the many faces of Snoopy—and his amazing adventures—in this tabbed board book! 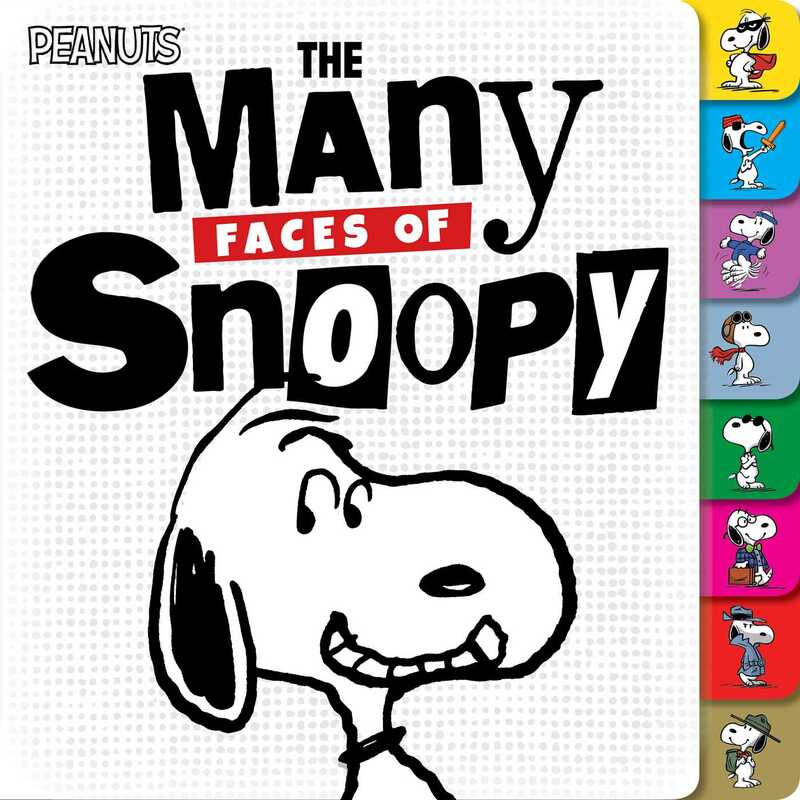 Each of the eight tabs features a different Snoopy alter ego: In sunglasses, he’s Joe Cool; in a pilot’s helmet, he’s the Flying Ace; in a mask and cape, he’s the Masked Marvel; and that’s just the beginning! Which Snoopy is your favorite?